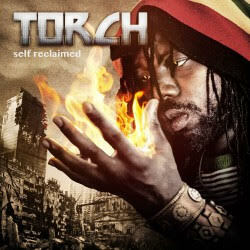 Kingston-bred singer Torch has been in the music industry for about ten years and already in 2005 he toured with the nowadays incarcerated Buju Banton. And now – some ten years later – it’s time for his debut effort Self Reclaimed, an eight track set featuring the brilliant Bugle combination Fire Man a Bun, on Weedy G Soundforce’s powerful Gate 7 riddim. Self Reclaimed is classic contemporary reggae with material recorded for a variety of producers, including Techniques Records and Frankie Music. 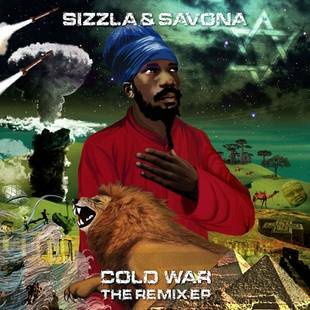 It balances tough dubby sounds, such as Lion, with smoother efforts like Bangarang and the slick percussion-driven Africa Calling. Another promising Jamaican talent to keep an eye out for. Jamaican singjay Bugle stands out in the dancehall community thanks to his socially conscious lyrics and sense for melodies. And some of his most popular singles have showcased his profound and soulful voice along with a sense for rhythm. He started his career in the music industry in 2000, and got a break serving as song writer for the energetic dancehall deejay Elephant Man. But in 2007 things changed. That was the year when he teamed up with Serani for the infectious and highly successful single Doh. At the time Serani was part of Daseca Productions, a production duo now serving as executive producers for Bugle’s debut album Anointed, a catchy and uplifting 16 track set produced by Anju Blaxx, ZJ Chrome, Baby G and Adde Instrumental. This is actually a rather remarkable album with guest artists such as Tarrus Riley, Julian Marley, Lady Saw, I Octane and Popcaan. It’s conscious dancehall that blends acoustic guitar with electronic elements with great effect, and it has a large number of killer tracks, for example lead single Nuh Compatible, released late last year, and the Lady Saw combination Infidelity. But also Move Dem, with a beat custom-made for Damian Marley, the nynabinghi-flavored title track and the skanking Y R U, which has a crescendo to die for. 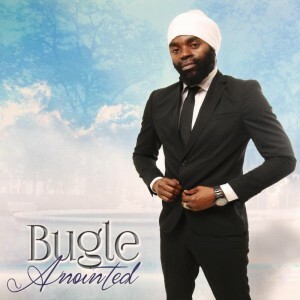 At times Bugle sounds like a less angry and more melodious version of Bounty Killer. Both have voices deep as the Mariana Trench, but Bugle is more harmonious and relaxed. Bugle is probably best known for the aforementioned Doh or singles like What I’m I Gonna Do, Journey and Don’t Give Up, and if you dig those you’ll love this album. Serani är 27-åringen som startade sin producentkarriär endast 19 år gammal. Tillsammans med två vänner grundade han producentkollektivet DASECA 2001. Serani ligger bland annat bakom världshits som We Be Burnin’ med Sean Paul och Dutty Wine med Tony Matterhorn. Men att producera var uppenbarligen inte tillräckligt för producentgeniet. Förra året släppte han singeln No Games och duetten Doh tillsammans med Bugle. Sedan dess har nog många längtat efter plattan som släpptes i tisdags. Debutplattan heter, precis som singeln, No Games och innehåller 14 spår, varav de flesta helt nya. Seranis blandning av pop, RnB och lättviktar-dancehall får säkert många reggaekonnässörer att rynka på näsan. Men sannolikt kommer plattan att sälja som smör i solsken och många The Voice-lyssnare kommer säkert att hitta en ny favorit.